Amaya’s plan to turn PokerStars from the world’s biggest online poker site into an all-around online gaming hub will enter its most delicate phase, as the company announced the launch of sports betting and casino games on a global scale. In a note sent to the media on Friday, Nov. 21, the gambling giant explained that the operation will begin before the end of the month, when new table games will be added to PokerStars.com. "The first offerings — blackjack and roulette — will roll out on a market-by-market basis beginning this month with completion anticipated by the end of 2014 reaching nearly half PokerStars’ current player base," the release said. Right after that, the room will focus on the inclusion of even more new elements with the launch of other popular casino games and a sports-betting product, which is supposed to become fully available to PokerStars players during 2015. During the next year, the company also plans to increase its revenues coming from mobile players with the launch of what is announced to be "a full-featured casino on mobile and web." "We are taking the same principles, practices, and integrity that make PokerStars such a successful and beloved brand and applying them to new verticals," PokerStars Head of Corporate Communications Eric Hollreiser said. "These new products will also support the development of poker and grow the overall business." PokerStars' entrance into the online casino and online betting world is part of a precise strategy extensively described by Amaya’s CEO David Baazov during the past months. "With the continuing trend of online gaming regulation around the world, the company has in front of itself an enormous opportunity to leverage its brand recognition and customer loyalty to diversify into other gaming verticals as casino, sports betting, and social gaming,” Baazov said in June. According to Baazov, the expansion of PokerStars and Full Tilt in these new verticals could open the doors to "a combined global market of the size of approximately $25 billion," which would be far bigger than the one PokerStars and Full Tilt Poker currently operate in. "Rational's addressable online poker market is of about $4 billion at this time," he said. PokerStars claims that the launch of sports betting and casino games on PokerStars.com is based on the experience made in Spain and on Full Tilt, where these games are already available. "We thoroughly researched the opportunity and spent a lot of time talking to players and analyzing the behavior of our customers on PokerStars.es and Full Tilt," Hollreiser explained. "Those launches have been successful in reactivating dormant customers and extending the value of our existing poker customers. The experience on our poker platforms to date also shows increases in net player deposits following the addition of casino games and a negligible impact on poker spend. We are confident these games will create more value to our PokerStars site and bolster the core poker offering." According to the note sent by PokerStars, approximately 30 percent of the players active on PokerStars.es play some casino games on a monthly basis. The room also claims that 50 percent of Full Tilt casino players say that the site is the only online casino at which they play. 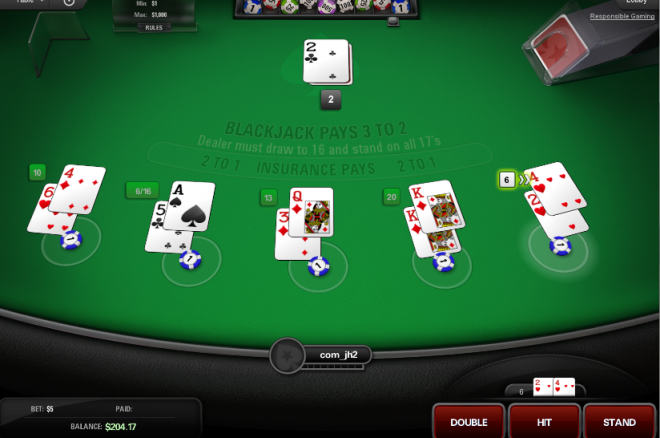 Although Amaya’s press release assures that the new blackjack and roulette games "have been built with poker-playing consumers in mind," and that have "demonstrated early success in appealing to a mass-market poker-playing audience," players will be given the opportunity to hide these games from their clients. "Recognizing that some poker players prefer a poker-only environment, PokerStars has enabled features that will allow customers to remove the additional games from their view and to opt out of direct marketing and promotions of the casino games," the note said. "We are committed to extending our leadership in poker and will continue to serve the passionate online poker player, while expanding our reach into new audiences and new gaming opportunities," Hollreiser concluded. The note came shortly after the new country manager of PokerStars Italy, Marco Trucco, announced that casino games and sports betting would soon become available in Italy's regulated market. Are you excited or turned off by this announcement by PokerStars? Let us know in the comments sections below!